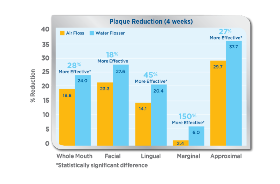 the Sonicare® Air Floss Pro! 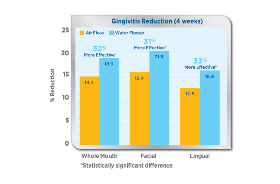 New study shows that the Waterpik® Water Flosser is significantly more effective than the Sonicare® Air Floss Pro for reducing clinical signs of inflammation. 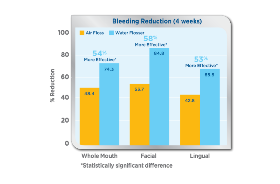 This information compliments a previous study comparing the original Air Floss (model HX8181) by demonstrating the efficacy of the hydrodynamic action of the Water Flosser. This technology has been shown repeatedly to be a very effective way to floss. 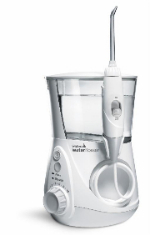 Waterpik® Ultra Professional, with its user-friendly design and convenient one-minute timer with 30-second pacer to help patients floss thoroughly.